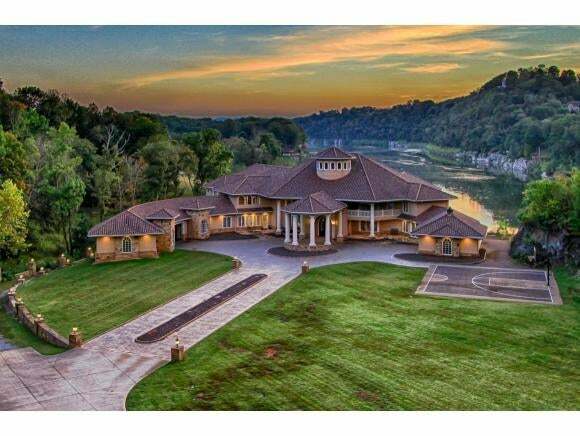 This palatial 19 acre Mediterranean estate located on the main channel of Boone Lake is truly a landmark property. Custom wrought iron gates lead to the manicured grounds outlined with natural wooded privacy. 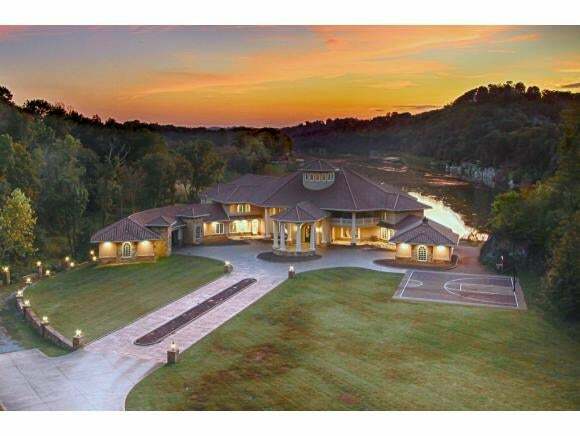 This magnificent home rests on a point at a bend in the lake where the view of the stunning, endless vistas is magnified. A masterpiece of timeless architecture with custom quality construction throughout. Upon entering the 42' high masonry foyer with broad majestic columns are features that replicate the Smithsonian Museum of Natural History in Washington, DC. Designed for entertaining, this custom built showplace offers 17,000+ square feet of living space and 3,000 square feet of covered lanais and balconies. Gracious living spaces with private access overlooking the main channel. The gourmet kitchen offers luxury Sub-Zero, Wolfe and Miele appliances and secondary scullery kitchen. The master wing is complete with his and her separate baths, sitting area with coffee bar and private covered lanai which makes a welcome retreat. An expansive 3200 square foot dock and tiki hut bar is already in place and the custom stone pool area to be completed with grotto, waterfall, slide and gazebo. In addition there is 4,400 square feet of basement storage along with a large playroom with 13'ceilings, 6-garage bays, 2-car Porte Cochere, safe room, lifetime ceramic tile roof, elevator and many more amenities. Detailed list available upon request. 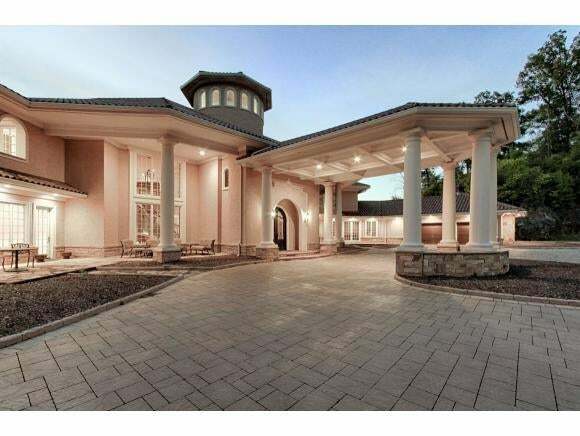 This custom built estate is a showcase that combines elegance and complete comfort.